Århus Baseball Softball Klub is an old club and when the club was founded exactly is not safe to say. Recently we have found evidence that the club – Back then named “ASA Softball” – was active in 1984. Since the club is that old, there are a few gaps in the passed down knowledge of it’s history, but on this page we’ll try to write down what we know of the story of Århus Baseball Softball Klub. From what year the club started with the US Navy Warship games, is so far unknown. However, we can only guess that the club was founded earlier than 1984. 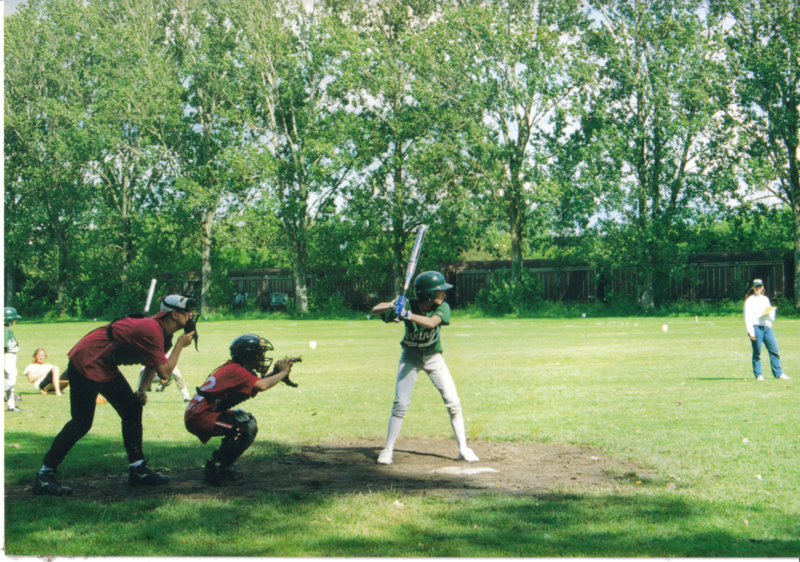 During the 1990’s we know that ASA Softball was thriving as a part of the larger organization Arbejder Sport Aarhus. We know that the club shared the football turf field with ASA Fodbold, from an old letter to the Softball members from the president Thomas Sølling, stating that the softball season will start once the soccer players has moved from the turf to the grass field. The president also states in this letter, that the Municipal of Aarhus granted the club its first-ever pitching machine. This was in 1994. When ASA Softball Moved from the soccer turf fields to Åbrinkvej 11 is still unknown. An old Ortophoto from 1995 shows what could look like the wooden backstop, which we can see on pictures from the early 2000’s. We know that the field was used for soccer before there was a softball field and since there’s no soccer goals on the field, it could very well be the time when the softball field was first used, with this wooden backstop. We know that ASA Softball was playing on our current address in 1999, as a letter to the rest of the federation, back then called “Dansk Baseball Softball Fobund”, send by Birgitte Balslev, states that ASA Softball has been asked when they will get a new club house. The new clubhouse showed to come the year after, as you will read about below. But this new clubhouse would replace the old one on Åbrinkvej 11. The year of 2000 is the year that ASA Softball got its brand new club house. The old clubhouse was the size of the concrete foundation visible on the picture. This foundation is still visible to this day, below the wooden terrace that was built later on. Pictures from the early 2000’s show that ASA Softball had a homemade backstop made out of wooden structures and “chicken wire”-like netting. No infield turf, but only dirt around the bases and home plate. The container was there, but no dugouts. The exact year for when the softball turf infield was laid out is lost. Though it’s safe to say somewhere between 2002-2003. 2002 is the year when The Women’s Softball Team wins the Danish National Championship and brings home the silver trophy the year after. Same year, 2003, The Junior Softball team wins bronze at the Danish National Junior Championship. Fast forward a few years we begin to see some impressive results and improvements in the club as the Women’s softball team brings home the bronze trophy of the 2006 Danish Championships – the same year the club gets a new metal backstop. At this point our club is being referred to as “Århus Baseball Softball Klub”. 2006 was also the year that the Men’s Softball Team ends up in second place in the 2nd Division championship. In 2008 the Women’s team once again brings home the bronze trophy from the Danish Championships. The year after, late 2009, Århus Baseball Softball Klub gets two dugouts, build by Jesper and Lennard Skou Jensen. In 2009 the Baseball Team wins the Danish National Championship, which back then consisted of two teams: Århus and a team of players from the eastern part of Denmark. As we are closing in to the present we start to see some ups and downs in the history of Århus Baseball Softball Klub starting with an “up” for the Men’s Softball team winning the 2010 2nd division. The year after starts with a “down” as one of the fairly new dugouts was blown away by a storm. 2011 was also the year the Baseball Team once again won the Danish National Championship and the club was granted a 5 meter tall fence in left field to protect cyclists on the path behind our home field. This was not only good for the cyclists safety, but also served as, what was named, “The Gray monster” as inspired by Boston Red Sox’s “Green Monster”. In 2012 the Baseball Team once again wins the Danish National Championship. In 2013 the dugout that was knocked down by a storm was rebuilt and the Baseball team once again wins the Danish National Championship. This was also the year when the Men’s Softball Team was terminated. The following year, 2014, the Women’s Softball Team was terminated. In 2015 it was decided to give the Men’s Softball Team a new start and enlisted the team once again for 2nd Division Fastpitch Softball. The same year all junior activities was terminated as the last junior player left the club to play soccer. 2015 was also the year when a second Baseball club was founded in Aarhus. 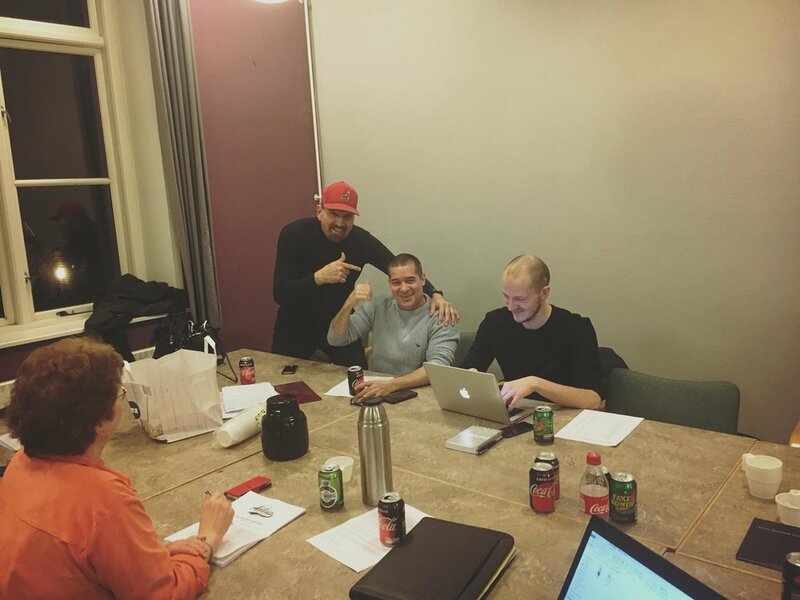 Former Latino players of Århus Baseball Softball Klub left the club to form their own ball club under the name “Aarhus Athletics Baseball Club”. It was an ambivalent feeling, as this off course hurt the memberships and strength of Århus Baseball Softball Klub, but also added another competitor in the Danish Baseball League. The new club made the league grow and gave some real competition to the Danish Baseball Teams. In 2017 Århus Baseball Softball Klub starts up a Junior Baseball Team with juniors from Århus Baseball Softball Klub and Aarhus Athletics Baseball Club. The junior Baseball Team competed in the Danish Junior Baseball Championship against “Team East” and ends up winning. At the General Assembly 2018 it was announced the after some discussion with Aarhus Athletics Baseball Club, “The Athletics” had agreed to join Århus Baseball Softball Klub as a team within the club. This decision ensures a strong organization and a focused effort for ensuring the future of Baseball in Aarhus.